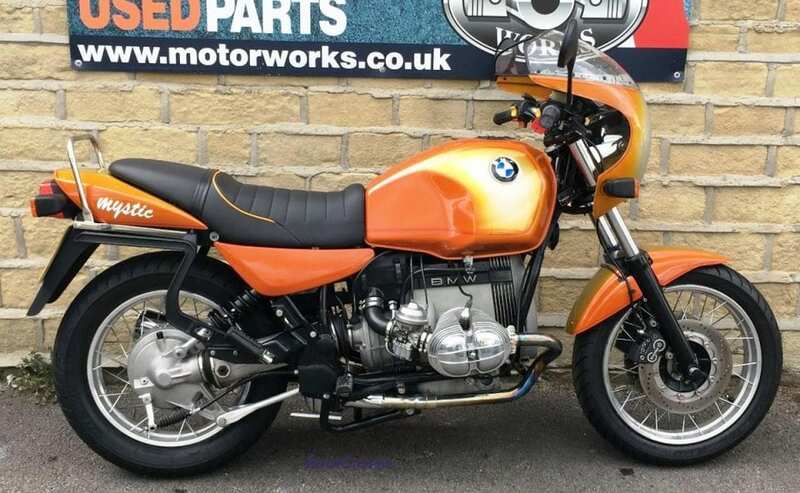 Everywhere we look these days, it appears that one of several current great trends is to take an old airhead Bimmer and convert it from sedate tourist into a wrist-snapping caff-racer or style-dripping bobber. You pays your money and you takes your choice, so they say. The plank-seat brigades are out there and they’re everywhere. No R80RT is safe. Anyone with a huge collection of ex-police twins is facing a merry Christmas. Just look at this! 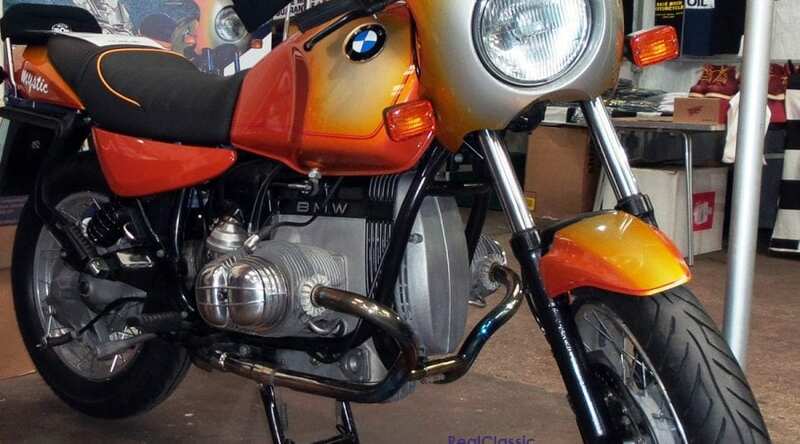 A very late R80R – amusingly (and bafflingly) christened the Mystic by BMW, plainly in one of their more adventurous moments. They are great riding machines, and very rare. So why customise one? 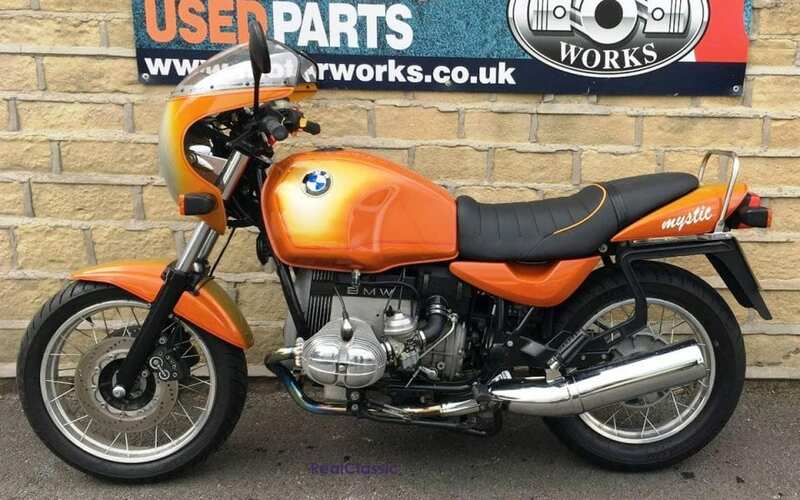 Why not, especially as the customisation is merely a paint job – a tribute to the R90S of fond memory. 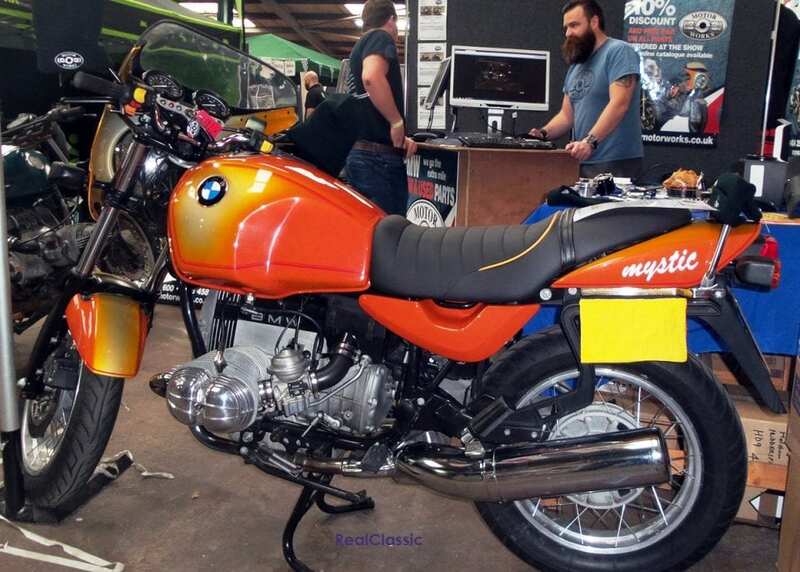 This Mystic was on display on the Motorworks stand, where Cris provided some background information about it. 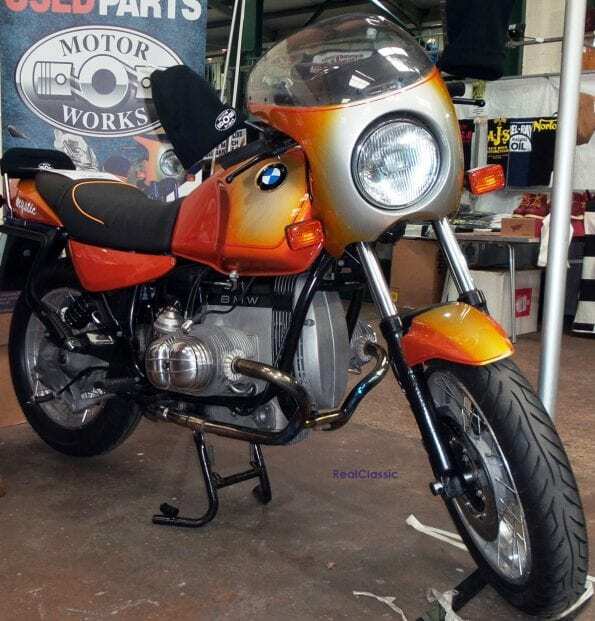 ‘The Mystic was the swansong of the R80R and R100R and was produced for the 1994 and 1995 model years. 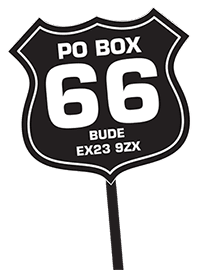 It was sold exclusively in Europe and the UK and the standard colour choice was between black, deep red, or a rarely seen black and yellow combination. The Mystics were a facelift version of the R80R and R100R (with different instruments, seat, etc), which in turn were essentially road going versions of the paralever GS bikes so all three models share the majority of their components. What do you get with a Mystic? A very quiet, very smooth, very refined engine, an effortless mile-eater, couple with brilliant brakes, a cat to keep the greens at bay and a riding position to banish aches. 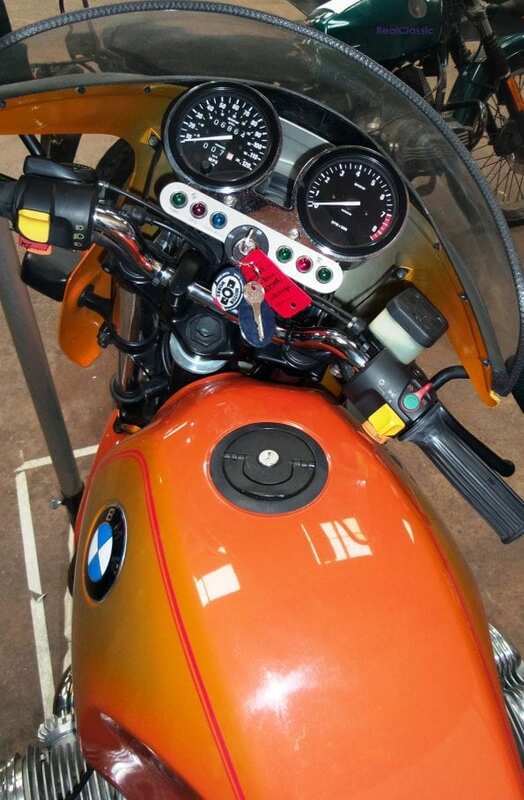 BMW decided at some point that if they were going to fit spoked wheels – as here – then Proud Owner should be able to replace bent or broken spokes without removing the tyre. Check out the front rim. I have no idea how or why this is a good thing, but if the meistershafters say so … then it might be. 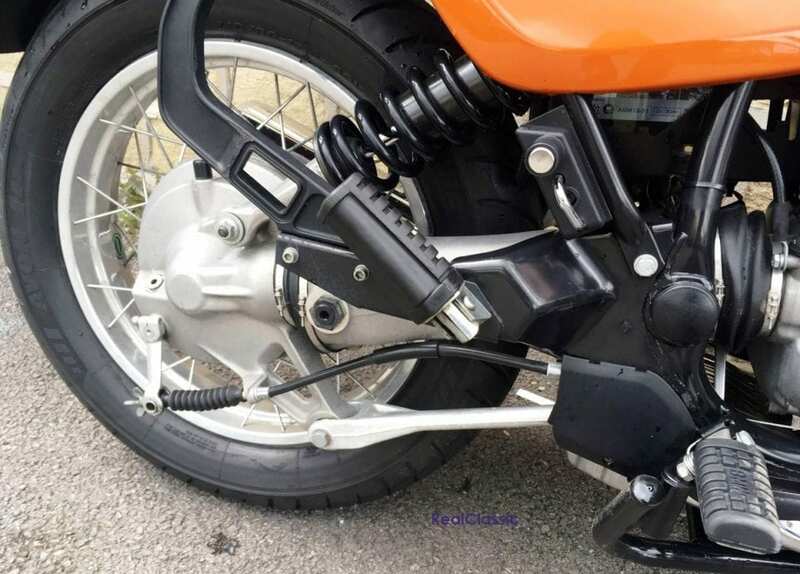 And there’s a single side swinging arm too, matching up with a bonzer fork brace to bring you some exceptional handling. Did I mention the great handling, considerable comfort, pleasing looks, clear clocks and the racks for BMW luggage? Why didn’t I buy it? If, like Frank, you have an urge to purchase this machine then it may still be up for grabs at Motorworks.